Buying a house is a huge financial decision, and no matter how many times we have added to our empire, it is still always a stressful and nerve-racking experience. After buying 8 houses and slowly building up our real estate empire, I am here to tell you that it does get easier. The key for us has been having reasonable expectations. We have had many ulcer-inducing lessons over the years, but in the end, things have always worked out. Still, there have been many things that we learned the hard way. Here are 11 tips that we have learned to follow, as they really have helped make buying a house less stressful. We are a duel-income no-kid family (well, except for our 8lb kitty cat! ), and our must haves are that the house is close to base and will rent well, as well as being low in budget. For others, lots of bedrooms or a large backyard is important. We have always gone into buying a house with 4 or less “must haves.” The fewer “requirements” that we have had, the better of a deal we have been able to find. Therefore, we personally try to keep our requirements to less than 4. Our current 4 requirements are: 2-car garage, less than 30 minutes from base, in the vicinity of a top 3 elementary school, and low in budget. Remember that even when you are reasonable, it doesn’t mean that these “must haves” might not have to be flexible, or even get eliminated from your list. The biggest mistake we have made over the years is now having a reasonable budget. If your dream neighborhood is $300,000–$380,000, having a budget of $250,000 won’t cut it and will only cause stress. That is why I always look at my needs and my budget at the same time, to make sure that they are compatible. We personally LOVE fixer uppers. While our willingness to do bathroom renovations are out of our friends’ comfort zones, we know of many more people who won’t buy a rainbow-colored house, yet they spend the first 4 weeks painting a neutral house. A mortgage is for 15 to 30 years, therefore so is the responsibility. Because of our lifestyle, the chance of us moving within this timeline is HUGE. 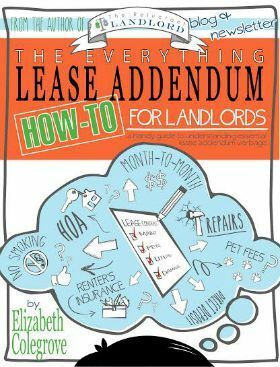 So know your exit plan (renting, selling, etc.) before you buy your house (here is a post in which I discuss how to know if your exit plan is selling or renting). It is important that your house meets your plan. If you buy a house with the goal of renting it out and it rents for $300 less than your mortgage, that might not be a good plan. If your exit plan is selling, make sure you can sell it for 6–10% more than you paid, just to break even. So far, we have bought cheaper houses that appeal to O1-O3s and young professionals. Because there are such a large number of these people versus O5s, we have always been able to rent our house even when houses come up off-season. I know a few people who upgraded the carpet, put in tile showers, upgraded the counters, etc. The issue when they went to sale is that, although they paid full price for these upgrades, most appraisers and buyers would not pay more. Therefore, while it was “nice” and might sell faster than a house that didn’t have it, it was priced the same. We have gotten some great deals because we were willing to close in 10 days OR we were willing to wait 8 months for a short sale. Being young, we have not had the money to throw at the situation. On the other hand, we have been able to meet people’s other needs. Many of our sellers have reduced their price simply because we were able to be flexible and meet their other non-financial needs. In my experience, thing other than money can be the deal breaker. We have always worked with amazing realtors who have found out the seller’s desires. By meeting those desires, we have actually beaten out our competition. For example, one seller wanted the money ASAP because he wanted to buy another house. So he accepted a $15,000 lower offer and agreed to never even put the house on the market if we closed within 10 days. My realtor has been one of my secret weapons. I don’t go through the money-back programs, but go with one of the most highly rated realtors who specialize in my area. Although I have given up the $1,000 I would have been able to get back, the realtor’s value has far exceeded any loss in savings. Every area is different, and it is important to have a realtor who knows that area. For example, in one of our markets, the area is so competitive that using a local broker is literally the deal breaker. We have won many deals simply because we used the local lender and our competition didn’t. We have learned that these are not our homes, simply great houses that are future investments. Therefore, we only buy houses that meet our short (raising our family) and longterm plans (rental investments). 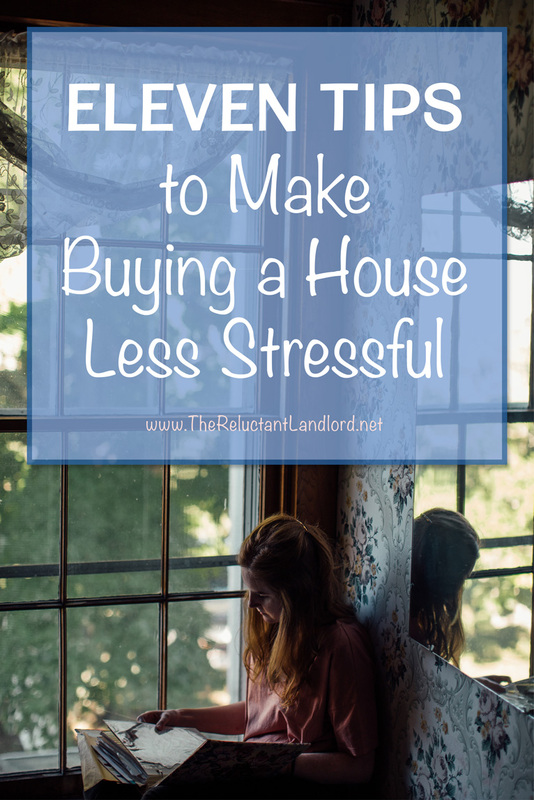 What is your tip to making buying a house less stressful? My husband and I decided that we’re going to buy our first home over the summer, so I’m happy that I found your tips! I especially liked what you mentioned about finding a good realtor. My husband and I both work every day, which would leave us with very little time to look at different homes. Because of this, I think that having a good realtor would make our search much easier. I’m going to mention this idea to my husband so that we can start looking for a good realtor right away! Thank you for the advice! Glad I could help! Good luck!!! An amazing realtor has made all the difference in the world in our experience. Finding a good realtor seems like a great way to make buying a new house easier. They would know a lot of information about different areas that I want to move to. There are specific features that I’m looking for in a house that I want to buy, so hiring a realtor would be a good way to help me find exactly what I’m looking for that’s in my price range. Totally agree! The only time we have experienced disasters is when our realtors have been less than stellar. I always say never judge a house by the way it’s decorated. I have seen too many people be turned off by blue carpet or bright pink walls, but those are simple cosmetic changes to fix. Great tips, thanks for sharing! I totally agree! Its crazy how many houses we have gotten for amazing deals for simple cosmetic issues. Glad you liked it! My husband and I are currently looking for a house to buy and so I really find the first 10 tips of yours very helpful and insightful. However, I am not too sure that that I fully comprehend the last one that you titled “Dream House”. Are you saying that you should only buy your dream house if it meets the short and long-term plans? If so, could you please expound more on that point? The point is that we don’t buy dream homes. We buy houses that are good homes that we can raise our children now and be great rentals when we are transfer. That way they are always an asset not a financial liability. My husband and I are trying to buy our first house. We hadn’t considered buying a house that we could fix up ourselves. We’ll have to look into that and then maybe we can turn that house into our dream house. Glad it helped! Buying fixers has been our favorite way to get our foot in the door in neighborhoods we would otherwise not have been able to afford. These are some really good information about buying a home. I liked that you talked about how you really need to set a good budget. Also, I like what you said about getting a good real estate agent to help you. Doing both of those things seem like it would help you get a good home. I thought the tips about your “must haves” and being in a reasonable budget was really important. I think it’s easy to get sucked into wanting the better house, even though it costs a little more. It’s best to find what you need and what works, and stick within your parameters and be diligent! I really like your tip about considering a fixer upper! Home improvement projects are something that my husband and I really love to do. I think that when we move, we will have to look for something like that. I’ll have to keep my eyes open for houses for sale that meet that description. Glad it helped! I love fixer uppers. They have been a great asset for our family. Looking at homes, putting offers on homes, offers being rejected, counter offers, these things have a passionate toll. Be that as it may, attempt to keep the choice of purchasing a house the most systematic, legitimate and normal decision you make. Totally agree! All 8 of the houses we have bought have been crazy stressful. The great thing is once it was all done we were so thankful and forgot about the pain. Tip number ten about finding a good realtor is a good suggestion. I would probably try to buy a home by myself. That would probably lead to me having issues down the road or me not getting the best deal possible. These are some great tips, and I appreciate your advice to consider a fixer upper when buying a home. My husband and I are talking about moving into our first home, and we hadn’t really considered buying a home that would need to be fixed up. It could open up more options for us and maybe save some money though, so we’ll definitely consider it. Thanks for the great post! Glad you found it helpful. We wouldn’t have been able to buy the neighborhood we did for our first house if we had not bought a fixer upper! It makes sense that you should be reasonable when choosing the must haves for your house. My wife knew a couple that couldn’t find a house because they were looking for too much. If we ever need to buy a new house, I will be sure to come up with a few must haves and keep it open. Choosing a house to buy is stressful because it’s the place I’m going to make a home for my family for years to come. I really like your tip about being reasonable with your “must haves”. My husband and I have a lot of things in a house we both want, but I know it’s unreasonable to think we’ll find a house that has everything on the list. I bet if we prioritize the list and each pick a few things, we’ll have a lot more options. Thanks for your helpful tips! I really liked your advice to come up with a reasonable budget. It is interesting that many people don’t weigh into consideration of spending more than they can afford. However, it really makes a big difference to set a budget and stick to it. Do you have any other tips about saving money during the home buying process? I have found out something that i would like to suggest to everyone that is looking to sell their house. Regardless of the possibility that your house is being shown on a sunny day, keep the lights on all through the house during any showings. I’ve found when rolling in from the brilliant daylight, a house can look darker as your eyes change in accordance with coming inside. Keep in mind to turn on all lights, incorporating those in storage rooms or in apparatuses. I find it interesting that you suggest having less than 4 “must haves” when shopping for a new house. I would think that most people would have more than just 4, but I can see why having less than 4 would be beneficial. My cousin may be deciding to move soon. It may be good for him to consider having a minimal amount of “must haves”. I love your tip about considering a fixer upper! My husband and I have been looking at a lot of them because we really want a project. I think that it is a great thing to think about because you can really make your home the way you want it. We will have to keep our eyes open so we can find the right one for us and our future family. When it comes to looking for houses for sale, I really liked the point about coming up with a reasonable budget. I feel like from what I’ve seen, so many people live outside of their means. I also really liked the point about not setting your budget too low to alleviate stress! I really like your tip about coming up with a reasonable budget when it comes to buying a home. My husband and I have been thinking about doing some house hunting for a while now so we will have to keep these tips in mind. We are thinking about hiring a realtor to help us through the process, thanks for sharing! Glad it helped! Good Luck!! Thanks for the tips. I’ve heard that choosing the right home is an extremely important decision to make so I wanted to make sure that I did right. You advised being flexible regarding you timeline, and to be willing to wait a while to get your dream home. I’ll definitely make sure I do this, and make sure I go with the home I really want and to be patient. Searching a good real estate agent seems to be a great way because they are known lots of information about real estate. I think good realtor can make our search easier. He also helps us in finding housing in my range. So hiring a good realtor is beneficial for us. Thanks for your advice. I agree with your tip about being willing to close in 10 days or wait 8 months for a short sale. When my sister and her husband were in the process of buying their first home they decided it would work best for them if they were willing to be flexible with their timeline. My sister and her husband were able to buy the home they wanted because they were willing to work with the sellers. I will have to keep these tips in mind for when my husband and I decide to buy a home of our own. I really like what you said about being reasonable with the budget and the “must haves” when you’re looking for homes for sale. I also really like what you said about being flexible with the timeline of looking for homes for sale. I’ve also heard that homes for sale are usually more negotiable because they’ve been on the market for a while. That’s a great point you make about how a mortgage is for 15 to 30 years, and so the responsibility is for that same amount of time. I’ve heard that there’s some special mortgages that are for a shorter amount of time, too, for those who can afford it. Is that true? I’ll have to keep this info in mind to help my wife and I choose the best house! That’s a good tip to come up with a reasonable budget. The size of your mortgage will affect you for a long time. I’m trying to buy a first home for me and my wife, so I’ll have to do a budget of what we can afford. I like your idea to consider renting and selling when setting up your mortgage. An exit strategy is important. I’ll have to keep that in mind as I go through the process of finding a house for myself and my wife. I find it very helpful that you encourage people to be flexible with their moving timeline. After all, a lot of the reason why people pay so much for houses is because they can’t wait too long to get one. However, if you give yourself plenty of time to buy a house before you need to move, then you might be able to wait for it to get cheaper. My wife and I are currently in the market for a home. This will be our first house purchase, so we are looking for good advice to make the process easier. I didn’t realize how important it is to be flexible with your timeline to ensure you get the best deal possible. I’ll be sure to share this info with my wife. I loved what you said about giving yourself plenty of time to find your dream house, as you may need to sit on one for a while to get the best deal. My older sister and her husband have been thinking about buying a home for their family and were wondering when they should get started. I’ll advise they get right to it, so that they can have all the time they need to browse homes and get the best deal possible. I totally agree with you in that it is always a great idea to make sure you have a good real estate agent on your side when buying a house. It is important to remember that having someone with knowledge on how the market works can help you find the best deal. As I see it, assessing your needs and wants can help your agent be able to perform a more personalized search in order to provide you with the options you need to find the house of your dreams. A friend of mine is getting ready to buy a new house, but they weren’t sure what to look for. I really like that you say to make sure that you have a reasonable budget that is appropriate for your area. It would be nice to know that you will actually be able to afford the houses that you are looking at. It really helped when you mentioned how you can get reduced prices on a house if you are willing to wait. I can see that being patient and assessing your options carefully can help you find the best deal in your area. Personally, I would want to consult with an agent that has an extensive knowledge of how the market works and who can help me choose a house based on market value and the preferences I have shared.